Michael is sharing his 15 years of training and racing experience to help you achieve your own paddling goals. With the experience of training himself to become Australian, European and World SUP Champion, he knows a thing or two about achieving success and will design a program that is right just for you. These personalised programs are designed around specific training principles and will motivate you to take your paddling to the next level! The personalised programs are not generic in anyway and Michael works around you to create the plan that is right for you. 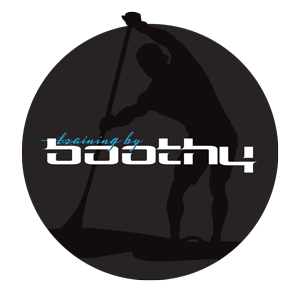 It covers your on water training as well as off water cross training to help you become, fitter stronger and a healthier paddler. This can include things like ocean ski paddling, kayaking, swimming, running, indoor rowers, gym programs and anything else you may desire to do! He factors in your work schedule, how much you travel, your realistic time on water and what your goals are whether it be a race, a time or just overall fitness. Michael is always ready for a challenge and is happy to help in any other way he can. Can be up to 2 weeks due to Michaels busy schedule. Via an online training application that helps Michael monitor your training as it links to your Garmin and Strava accounts. It is put out each Sunday once he goes through your previous training week monitoring your statistics to better plan your next week. Do you design training programs for paddling groups? Yes please contact Michael directly and we can design something to suit your groups needs! Payments are made via the form below via credit card which is secured via SSL 128bit encryption. All payments and recurring payments are processed by Stripe. What is your main goal for your paddling? What event is your main focus?